For me Easter is a celebration of spring, brunch and beautiful colors. 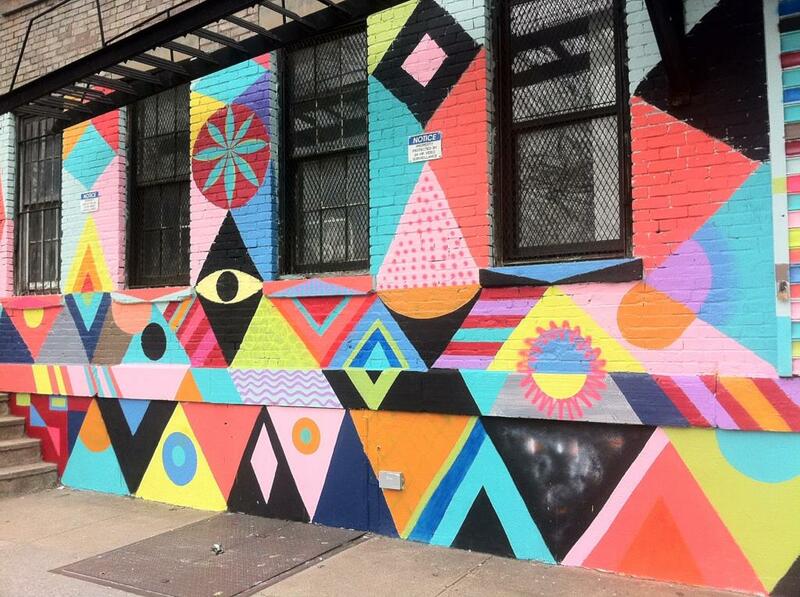 Here’s an image of a new mural from my favorite brunch companion (and missed friend), Mark Warren Jacques who just put this up in Brooklyn with Maya Hayuk. ← yo vintage! & hazel cox pop-up shop. TODAY!